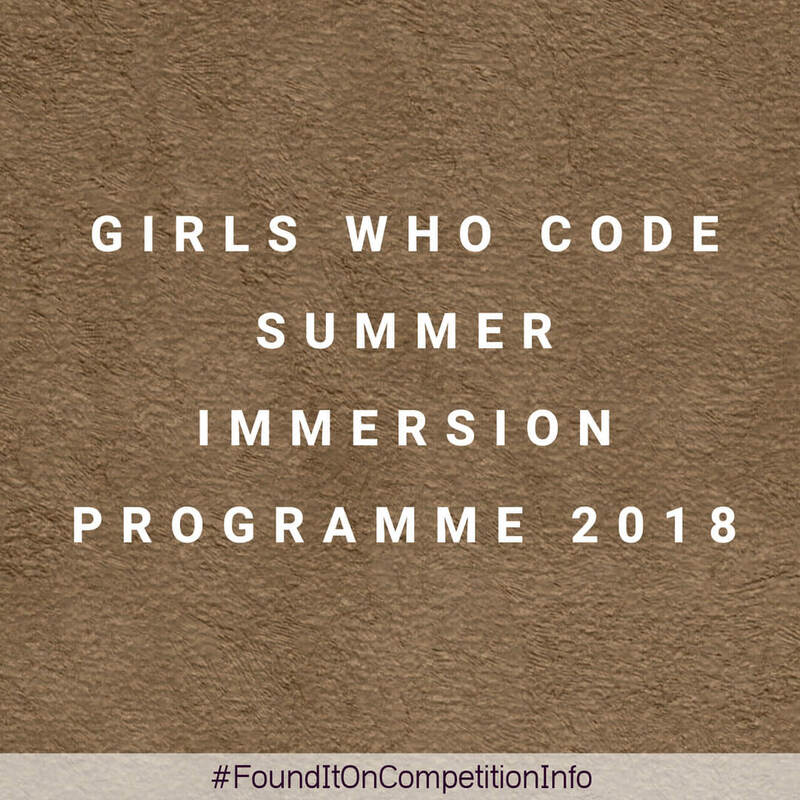 The Girls Who Code Summer Immersion Programme is a free 7-week summer programme for 10th–11th grade girls (rising juniors and seniors) to learn computer science, gain exposure to tech jobs, and join a supportive sisterhood of thousands of girls across the United States. The Summer Immersion Programme is an introductory Computer Science course, and no previous experience is required. Each week of the programme covers projects related to computer science, such as art, storytelling, robotics, video games, web sites, and apps. You’ll also hear from guest speakers, participate in workshops, connect with female engineers and entrepreneurs, and go on field trips. The programme culminates in a final project where you build your own product and share it with your class. Early acceptance (Round One) application deadline is February 16, 2018, and the final (Round Two) deadline is March 16, 2018.